I can't remember the first time I tried a French 75 cocktail, but I do know it was love at first sip. 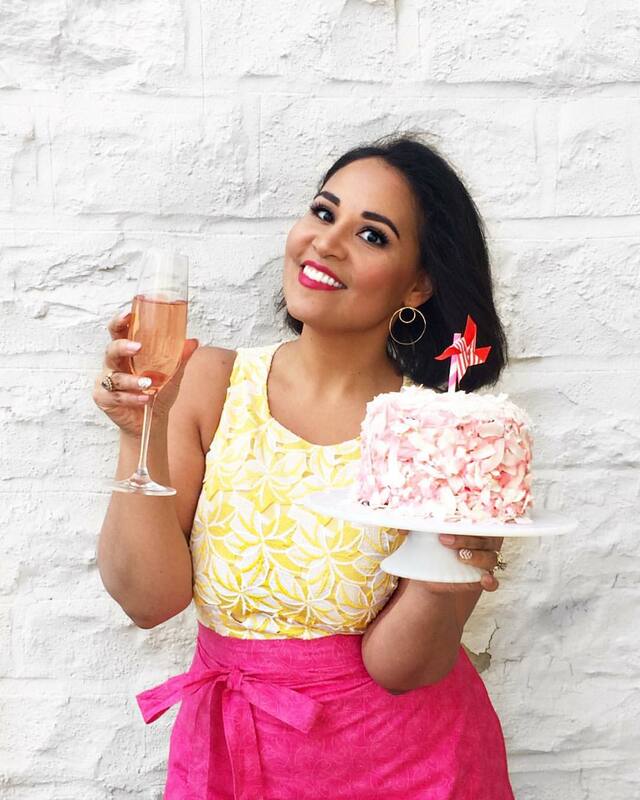 The sparkling combination of champagne with gin, fresh lemon juice, and just a hint of sugar is one of my favorite cocktails at parties or to enjoy as an aperitif at the start of the meal. 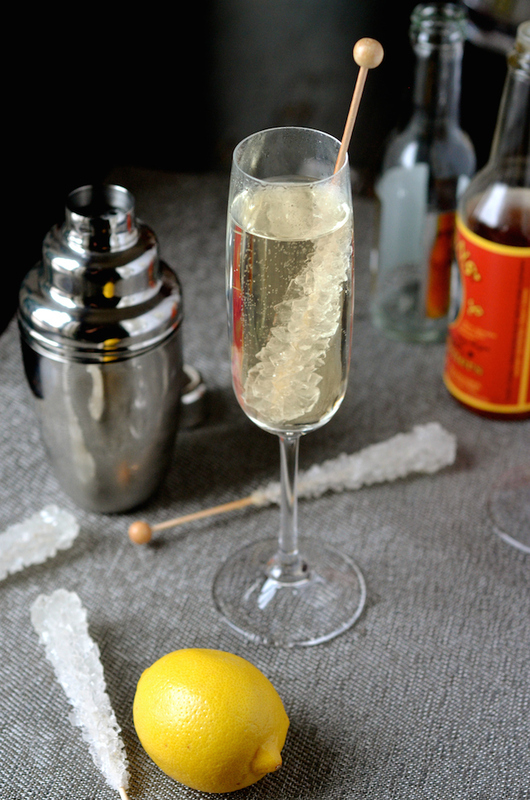 Named after the small, but powerful French 75 canon (aka the 75-millimeter M1897), the cocktail got it's name because its delicate look belies the strength of this champagne + gin combo. In other words...they go down easy, but they pack a powerful punch! Today, I'm sharing a little twist on that classic. 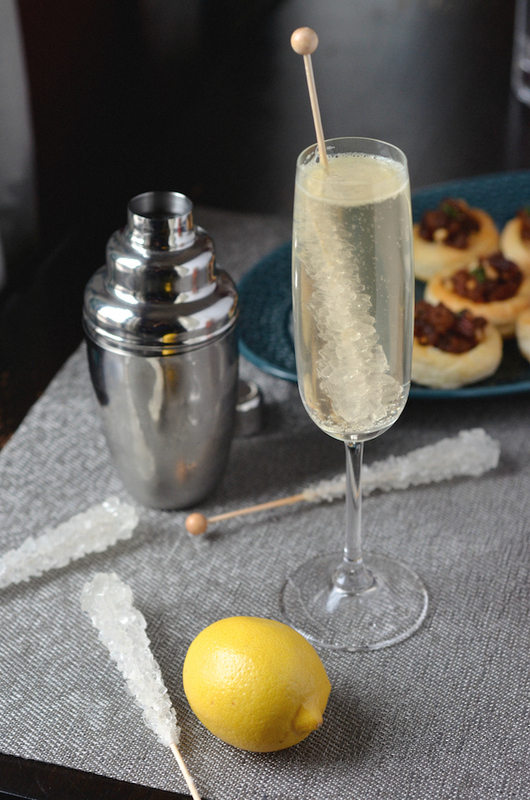 This is a non-alcoholic French 75 mocktail, made with fresh lemon juice, sparkling tonic water, and a splash of citrus bitters. It has a similar flavor profile, but won't leave you flat on the floor at the end of the night. 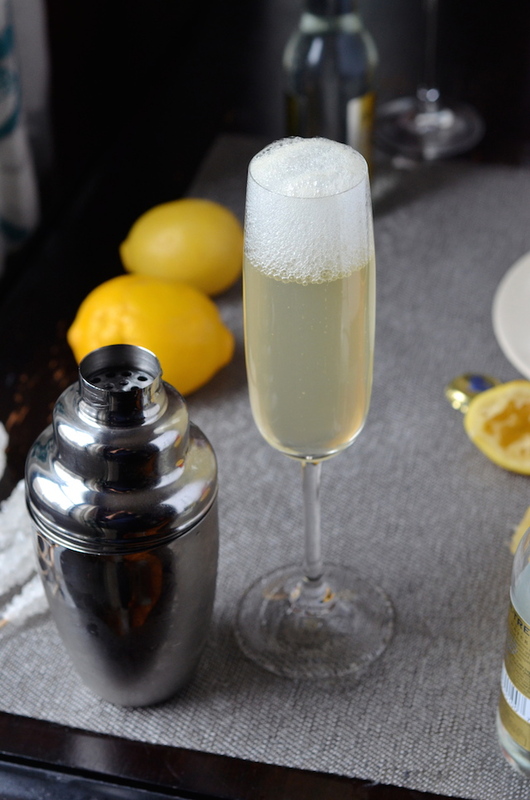 Because of the gin, real French 75s have a bit of an herbal taste that is mimicked by the combination of bitters and tonic. 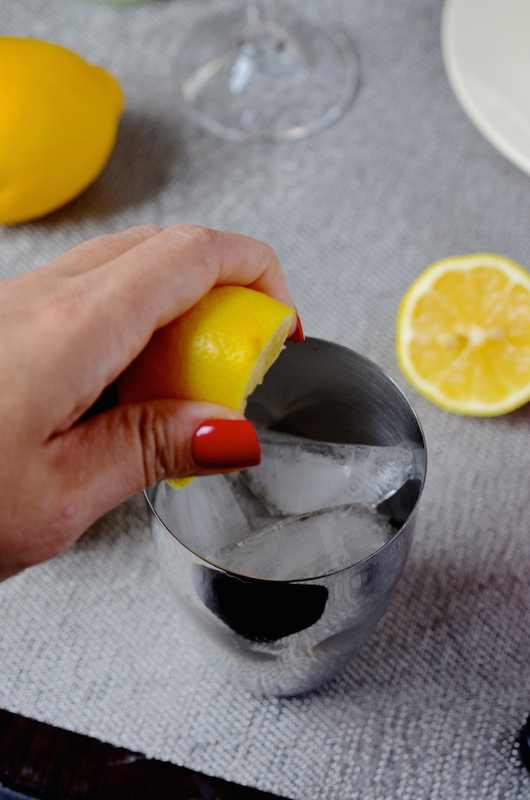 If you're making this cocktail at home, I recommend buying really good tonic. This means STAY AWAY from the stuff that comes in the plastic 1-liter bottle at the grocery store; you want the fancy stuff in the pretty glass bottles. My favorite brand is Fever Tree; I always have a few bottles of their tonic and their club soda sitting in my home bar, but there are quite a few fancy brands out there now like Q Tonic or Fentiman's. 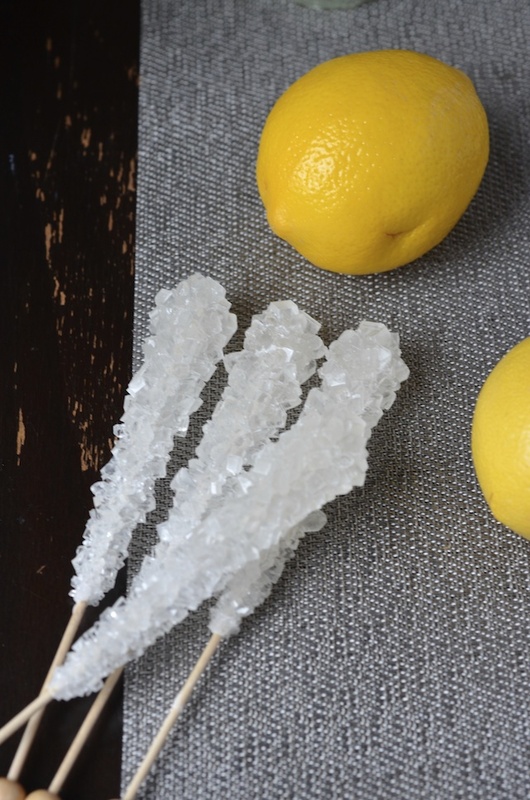 Instead of adding superfine sugar, I used rock candy swizzle sticks. They're pretty and festive and would be perfect for a cocktail party. I used clear ones here, but you could also have fun with different color rock candy sticks, using ones that are pink or red or even blue! That would be a lot of fun for a baby shower or a teen birthday party. Just a quick note about bitters: You can find bitters at well-stocked grocery stores, gourmet shops, or liquor stores. They're also available on Amazon. There are both alcoholic and non-alcoholic kinds available, but know that even the ones that do have some alcohol it's in such a negligible amount that it it's about the same as something like vanilla or peppermint extract. Choose what works best for you! Top off with tonic water until it reaches about 3/4 of the way up the glass. Garnish with the swizzle sticks and serve immediately. NOTE: Can't find rock candy? Add 1 teaspoon superfine sugar along with the lemon juice and bitters in the shaker.